If you are moving to Colorado Springs, it’s most likely because of one of three things: the abundance of beauty that the Rockies provide to the state’s second largest city, you’re ready to settle down in a family-friendly community with great public schools, or you’re affiliated with the defense industry. These three characteristics go a long way to defining the best aspects of the city. While there is always much more a city, you will be sure to encounter these three themes during your time there. Of course, the city has a youthful side. 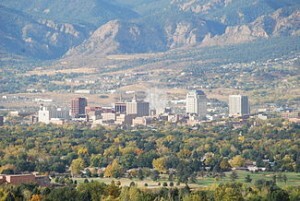 Many students move to the northern part of town to attend the University of Colorado, Colorado Springs. Students interested in Space Studies will find UCCS particularly useful for jumpstarting their career due to all of the opportunities with the military space activates like Headquarters Army Space Command and Headquarters Air Force Space Command, all conveniently close by. If you are planning on being close to campus, you are going to find yourself in or near Cragmor, the neighborhood that surrounds UCCF. Housing takes the form of single-family housing with homes for rent, bungalows, and complexes with apartments for rent. While students make up much of the population, families are dispersed throughout. As the school terms begin approaching, finding a house for rent or cheap apartment becomes an increasingly difficult endeavor, so try using an apartment finder or apartment guide to narrow down the best apartments and those with utilities included. If not, downtown is only two miles away and offers a much more active atmosphere, albeit a bit more expensive. There’s a large variety of events that take place in downtown. Consider a literary excursion or poetry workshops at local bookstores and libraries liked Hooked on Books and Penrose Library, shows at Pikes Peak Center for the Arts that range from drama to dance to music to comedy, or events fun for the entire family at places such as the Pioneers museum if you are looking to experience some of Colorado Spring’s own historical past. Finding the perfect place nearby is easy with a little bit of patience since there are many apartment options to choose from such as studio apartments with all bills paid and town homes for rent throughout the city. For many, the reason why the city receives such high reviews and ratings is due to its close proximity to the beautiful Rockies. Garden of the Gods, for example, is only fifteen minutes away and offers trails through many red rock formations that are characteristic of the local ecology. And to jumpstart your list of places that must be seen, check out Cheyenne Mountain State Park, Palmer Park, and pet-friendly Bear Creek Dog Park. One of the city’s most important characteristics would be its large defense industry presence. Home to five major military installations (NORAD, Air Force Academy, Ft. Carson, Peterson AFB and Schriever AFB) means that there is a large influx of military students and veterans that call Colorado Springs home. They contribute much to the economy and culture. For example, when combined, the five military installations mentioned employ 15% of the residents and are the largest employers in the area. And if you are not affiliated with the military, get used to be asked if you are, since military discounts are plentiful with local businesses. If you are a family new to the area, one of the best neighborhoods to consider would be Broadmoor. It’s a bit isolated from the more active areas and serves as a peaceful area with a variety of parks and outdoor opportunities for kids. Property values are higher than average here while there are many luxury apartments in the area for those unsure about committing to purchasing. Can I afford to live here? Calculate my monthly rent budget. RentLingo is your trusted apartment finder in Colorado Springs. We hire local experts, such as former property managers and locators to anonymously tour and consistently rate and review every available place. They share their honest and unbiased perspective with you, so you know how every rental ranks in the area. Because our experts tour every property, we can offer consistent apartment ratings across every region. So unlike finding a Backpage or Craigslist rental, you can trust these apartments are verified and trustworthy: whether it's a cheap studio or a one bedroom with all utilities paid all the way up to a nice house for rent or a luxury condo.